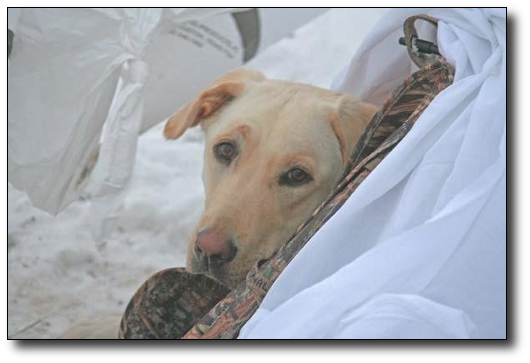 "Hunting Snows at the Pits"
Two separate trips by HSP members, headed by Kit, yielded complete opposite results. 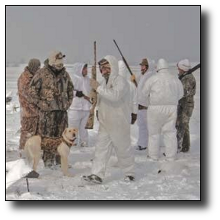 On the first trip there were four of them with about 300 rags, socks and shell decoys. 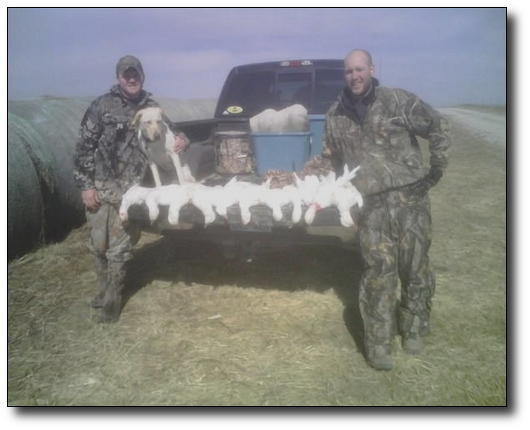 They hunted all day but had the best success during the afternoon. They took 36 geese that day. 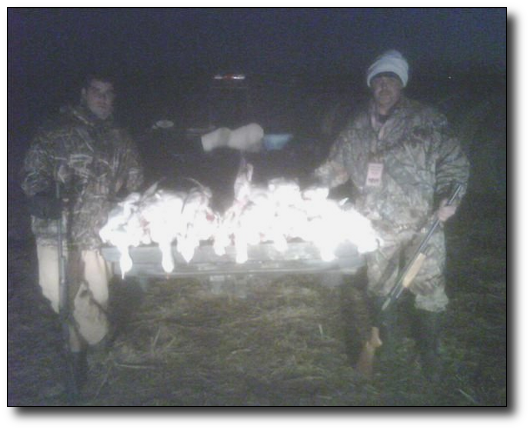 On the second trip with had grown to a total of 9 hunters with 1100 decoys. On that day they only hunted until 10 AM and left because the birds were not flying. They did not shoot any that day. 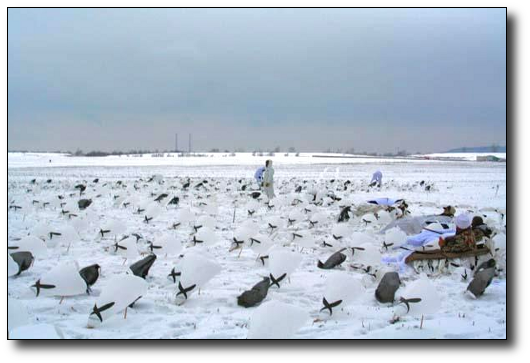 Who says Snow Geese are not contrary, and difficult to hunt?